The following piece was written by Rachel Schindler, a HealthCorps Navigator at CHC, Inc. serving as the Program Coordinator of Recess Rocks. This past weekend Community HealthCorps Navigators partnered up with Recess Rocks and SteveStongs to celebrate the release of his new album, “Orangutan Van”. Mr. Steve and his band played two shows in Hartford at the CREC Theater of the Performing Arts, and the Recess Rocks theme song was featured in both performances! 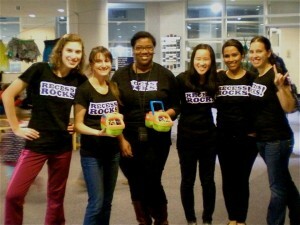 Some HealthCorps Navigators in their Recess Rocks t-shirts! At first, we were all a little star struck when we met Mr. Steve in-person. After all, he is a celebrity! We proceeded to start the afternoon in high spirits after Steve asked for our help during his shows. Not only were we going to get to do the Recess Rocks theme song on stage and in the aisles with his fans, we were going to get to help with other songs as well! For the title track off his new album “Orangutan Van” the lyrics talk about a bus full of orangutans that get a little crazy. Steve actually asked some of us to be the crazy orangutans during his performances! 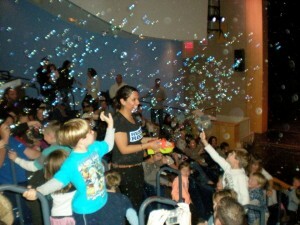 We also got the opportunity to move with the kids throughout the shows by being a part of SteveSongs’ hit song “Bubbles”. For this song, Steve had a big surprise for all of the kids in the audience…bubble machines! Some of us Navigators got to walk through the audience with bubble machines and it was cute to see the kids flock to the bubbles and want to be a part of the fun. It was really cool to be a part of the action and to see how our involvement in Mr. Steve’s show helped take it to the next level! The concerts were a great time and we loved seeing the kids get into the movements and, of course, the Recess Rocks theme song. SteveSongs is a great partner for Recess Rocks, and at each show he promoted Recess Rocks and the importance it plays in the fight against childhood obesity. 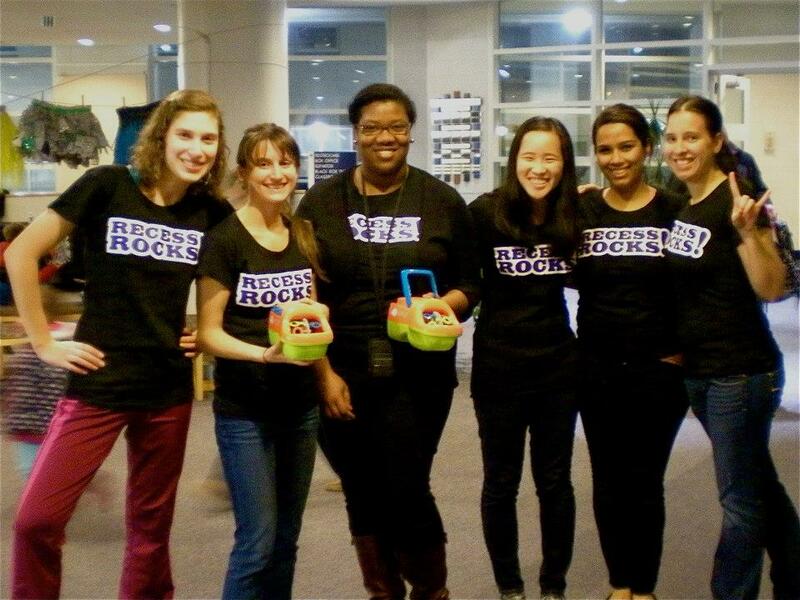 Being a part of this concert also gave Recess Rocks Program Director Miss Kim the chance to connect with CPTV – the benefactor of Saturday’s event. As a program that works to get children up and moving, it was great to spend the afternoon with like-minded individuals who see the value in promoting physical activity as a means of improving the health and well-being of children in our community. With the holidays fast approaching, we would like to encourage you to find a gift for your children that promotes activity and fun!